I love to see people smile. It is so rewarding to give children and adults the confidence to share a big happy smile. I know this confidence will positively affect their lives, whether in school, at work, or most important, in their relationships. Let’s face it: People want to be around people who smile. I live in Millersville, MD with my lovely wife Melissa and my wonderful stepdaughter Lynsey. (and our cat Tilly) I am blessed to have Melissa work with me in the office. She is our patient liaison and makes sure that all of our patients get the special attention they need and deserve. My philosophy is to do what is right for my patients, have open communication, listen, and care. Our team strives to deliver excellence in all we do. I look forward to the opportunity to meet you and your family. Below is my professional timeline. 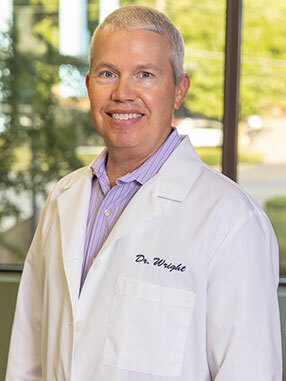 Dr. Wright attained the highest achievement in the field of orthodontics by becoming board certified. The American Board of Orthodontics is the only orthodontic specialty board recognized by the American Dental Association and sponsored by the American Association of Orthodontists. Dr. Wright joined and was entrusted with Dr. Arnold Zaks’ orthodontic practices upon his retirement. Dr. Wright graduated from the Air Force Medical Service’s Wilford Hall Ambulatory Surgical Center orthodontic residency program, a program accredited by the American Dental Association. Dr. Wright provided comprehensive dentistry to U.S. military families stationed in the United Kingdom. He received the Air Force Commendation Medal for Outstanding Service.